At Fairview Adult Day Care we offer various recreation-based treatment programs. Our recreation activities are designed to ensure that our clients enjoy themselves and have fun during their stay at the facility. We believe having a great time with plenty of laughs is a vital part of the recovery and well-being process! The recreation therapy at our day care facility in Canarsie, Brooklyn includes specially designed activities that our clients can enjoy. These activities are planned by our recreation team, based on the individual needs and interests of our clients. What Exactly Do We Have? ESL classes, discussions, reminisce groups, and DAR content. Trivia, table games, puzzles, arts and crafts. Yoga, exercise programs, and movement to music classes. Carnivals, and picnics in our beautiful backyard. Holiday celebrations, regular parties, and birthday parties. Our modern adult day-care facility is more like an entertainment place for the members. It comes with a beautiful concert/eating area. The entire facility is designed to provide members with ample opportunities to socialize, play games, and enjoy music. Fairview Adult Day Care is the perfect fun place for the elderly in your family. Here, they can talk to each other and enjoy delicious meals while enjoying concerts. We provide recreational therapy to ensure that the social needs of our members are adequately met. It is our belief that they will benefit more if we undergo therapies that take a more holistic approach to their individual needs. Music offers a great way of relaxing and stimulating our members. Thus, we have weekly concerts for our members. They particularly enjoy our music program in which we invite opera singers and musicians to perform. Our clients can also join choir singing with a chance to perform their own concerts every once in a while. 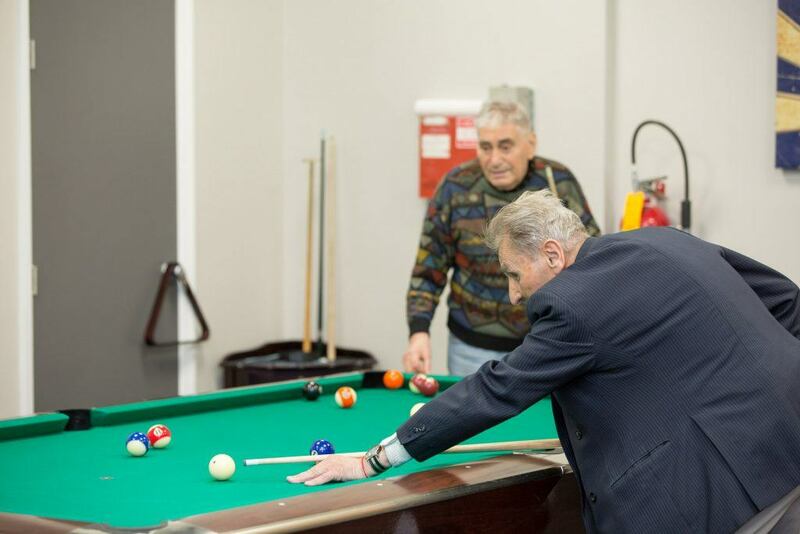 Aside from our weekly music sessions, our clients also enjoy playing table games. We organize card and board games for our members. And the winner gets to take exciting prizes home! Well it wouldn’t be a game thrilling enough if there aren’t any prizes – don’t you think? We do not restrict our clients’ recreation activities just to the adult day care facility. We organize regular shopping trips that our members always look forward to. Our team asks who among our clients would like to go shopping the next day and arranges for an outing to a nearby mall that includes transportation and additional activities to make the trip more interesting and enjoyable. At Fairview Adult Day Care in Canarsie, Brooklyn, NY, we take great care of our members’ needs and well-being. Contact us for the best in adult day care. We will be happy to show you our extremely enjoyable 5-hour day care programs.